what’ll it be? ladder, slide, stairs, or parachute? I visited a castle last week and it had a slide to get down from the battlements. I was about to use it but at the last minute remembered how old I am and how bones take longer to mend now! a fun choice, isn’t it? safer than the traditional firefighters’ pole? I love this kind of thinking. 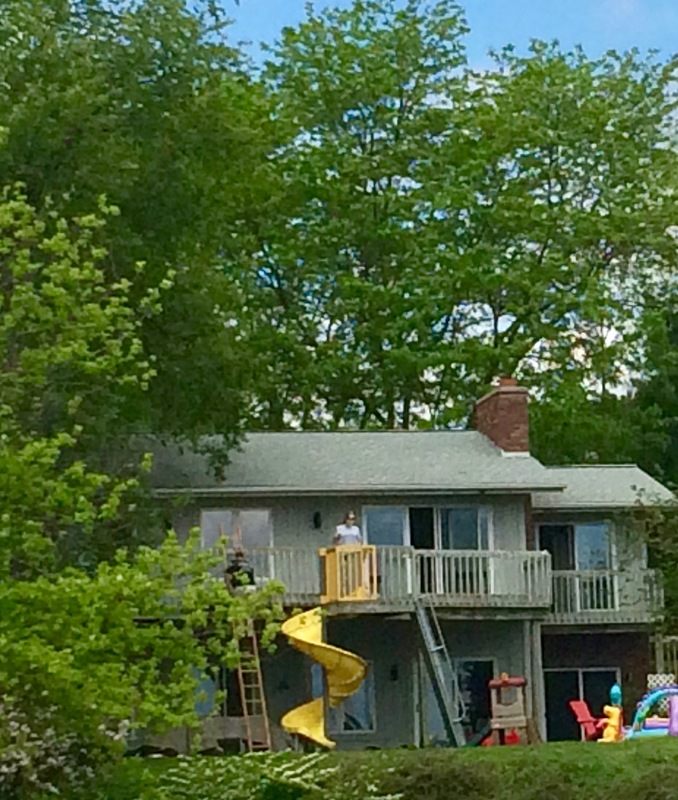 I put a slide off of my back deck for the kids. Or anyone…..
Waht a fun idea, having a slide! Fun! I wonder how often the adults use the slide? isn’t that the best, george ?! I vote for a fireman’s pole. I always thought it would be a fun to have one in my house. how great to start your day with that? They forgot the fire pole, Beth! Ha. That’s quite the diverse porch set up. Love it.